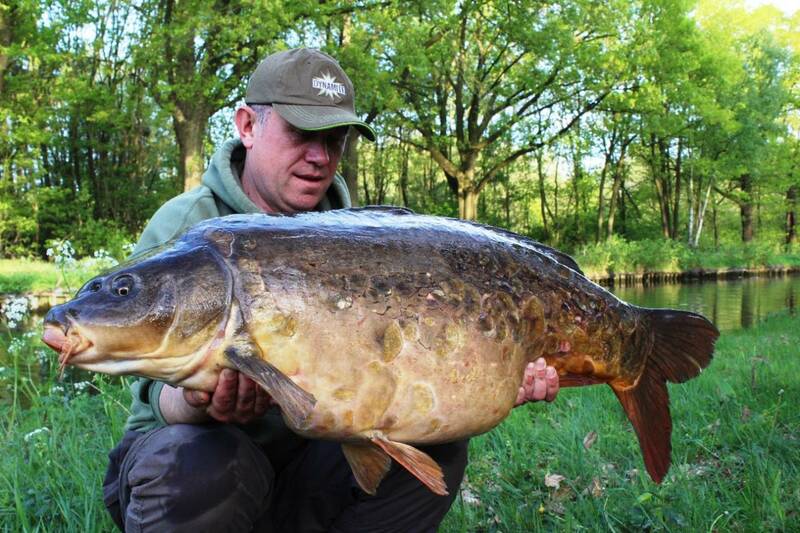 Forget the lakes – head to the rivers and canals and get results like this..
Q: how do you go about researching what venues to carp fish in europe? Most of my research, in particular the Belgium canals was from old magazine articles, Dutch & Belgium carp websites, and finally Dutch and Belgium bait based websites. Old articles were my initial source, and these provided information on some of the more iconic and historic canals, and some specific stretches, such as Kempisch Kanaal (KK) 7-8 stretch. You have to keep up to date, and the best way to do that is actually visit and engage with the local anglers. You can find some news and catch reports from foreign websites and social media, but the public waters are kept more private these days. Another source is tackle and bait websites, that publish catch reports and photos. I’ve been fishing the canals for 12 years now, even if they don’t name the canal, as they typically will put something like ‘canal monster’, or something along those lines, I will still have a good idea from the background in the photo, from which canal the fish has come from. Now this will really depends on the length of my trip, and what plans or targets I maybe hoping for. Typically I will move during the trip. On arrival I will go and bait up one or two spots on the same canal, potentially another canal if there is one close by to my first chosen spot. I have on occasions baited up another canal which is an hours drive away in each direction from where I chose to start. I only tend to move if I am not catching. The great thing about these type of venues are that they are not like a commercial venue in France, where you either book your swim, or chose a swim for your trip and have to stay there. This is fishing a public waterway, where you can do what you think is right with few rules to stop you. This gives you the best chance of catching. Q: How much bait do I need for a long weekend carping? 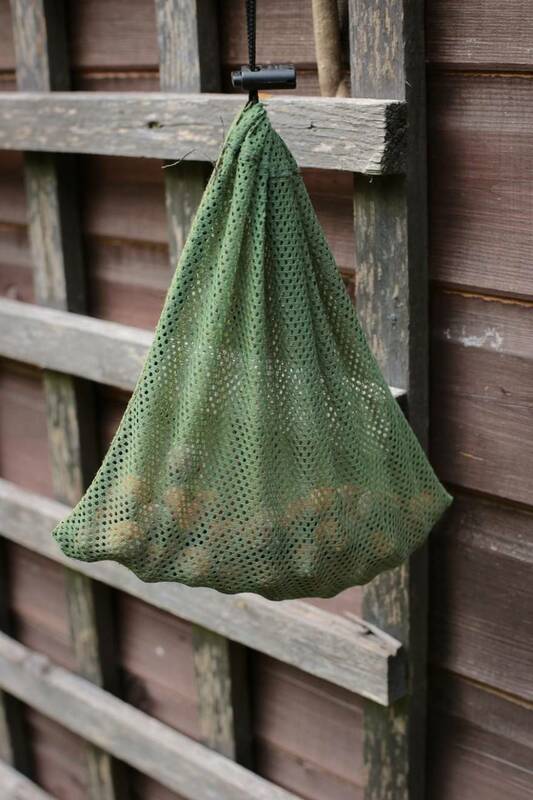 For a long weekend trip I would suggest a 5kg bag of boilies, and a few jars and tins of the Frenzied particles range, if you got room to take it, and you don’t end up using it, you will still have the room to take it back with you. Also I would suggest you don’t forget a tin in the old humble Frenzied Tiger Nuts, they have caught me lots of fish abroad. Some of the harder canals, like the Kempsich don’t respond to big baited spots, but then the bigger & longer canals like the Albert, you can bait big if you wish, due to the shoals of bream and crayfish etc as these species will devour some of your bait. 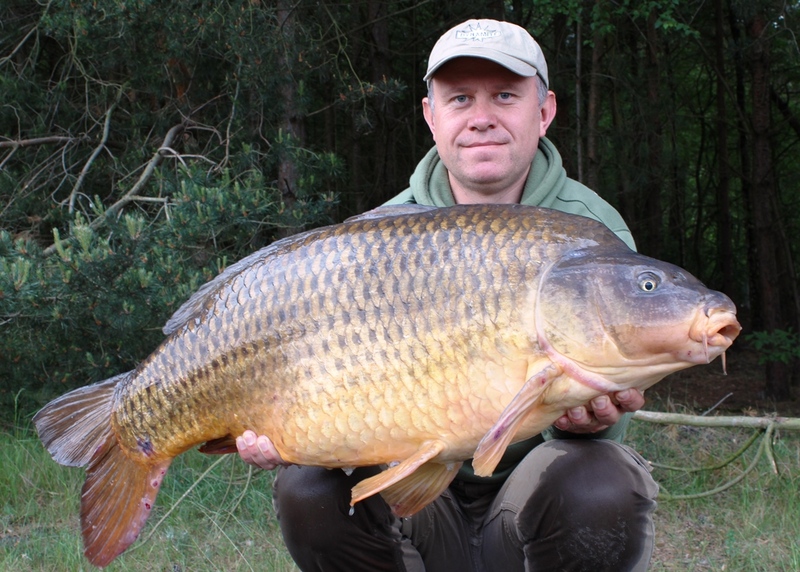 Q: Do I need any special permits to fish on natural venues in places like France and Belgium? 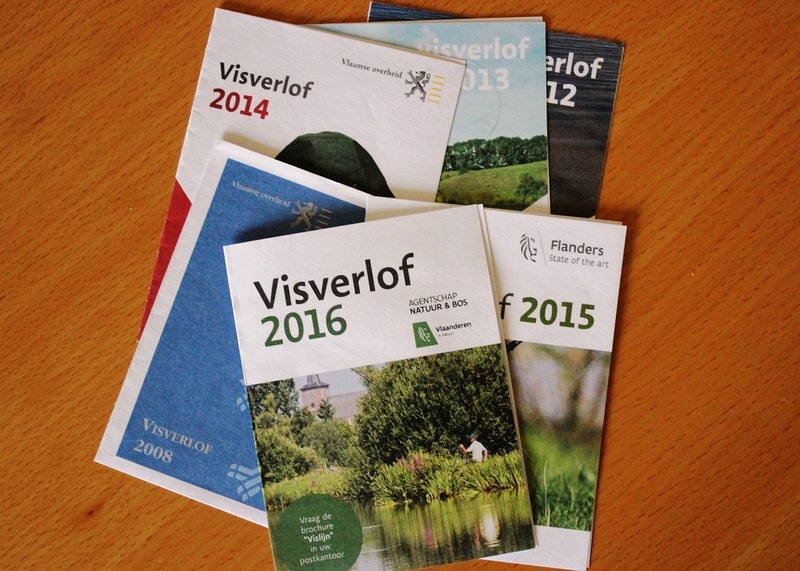 In Belgium you require a Visvelof, which allows you to fish two rods day and night, on most of the public waters, you will require this for some of the private and syndicate waters as well. You can pick up Visverlof from most post offices (but not all, such as small ones in supermarkets), this will currently cost 48 euros for a calendar year. Make sure you purchase the full, and not the 11 euro 1 rod day only permit. The canals are checked by the Police and officers of the Sportvisserij, which is similar to our EA. 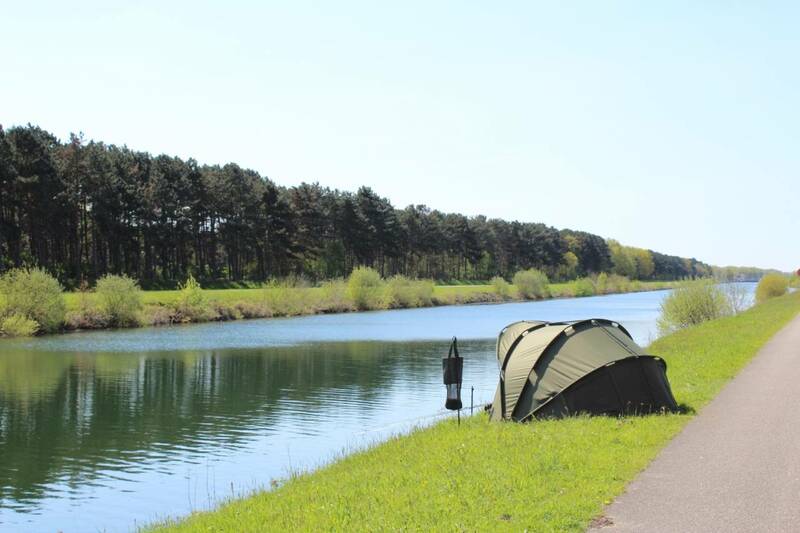 In Holland you require several permits, firstly the VISpas at around 40 euros, and you need to be a member of a local club, then a night permit at 10 euros, and if required a third rod permit at 25 euros, so 75 euros for a yearly permit (calendar year). In France it’s a Carte De Peche that you will require, these are region based, and it’s best to get this from a local Tabac to where you are planning to fish. The rivers and canals will have day only, and day and night zones. So make sure you acquire this information, The tabac will have this in a brochure along with the permit. You don’t want to get caught night fishing a ‘day only’ zone, as they could confiscate your tackle and possibly a fine. Q: What baits work best on canals and rivers abroad? For me, my go to bait has been The Crave, a fantastic red fishmeal bait, infused with robin red. I use these in 15, 18 & 20mm sizes, with my preference being the smaller 15 & 18mm. This is because most continental anglers use 20-26mm baits, so something a little different to what the fish see in the main can work well. But, and there is a BUT, Mitten Crabs & Crayfish can be a nuisance in some canals and rivers, and so the larger baits will last longer on the hair, and of course you have the PVA bait wraps you can use. I have caught on CompleX-T and Monster Tiger Nut baits as well. If the bream come into my baited areas, I’ve found they have a preference for fishmeals, so having some tiger nuts in reserve is worthwhile. But this hasn’t always worked, and they will continue to wipe out your baited area, I’ve had to move swims on a couple of occasions, because the bites were just getting silly, having 20+ bream in a day, and you will find you are soon running out of bait! I always bring particles with me, Frenzied Mixed Particles, Hemp & Snails, Frenzied Chopped Tiger Nuts, Grubby Groundbait and CSL Liquid. Some of my larger fish have fallen to a bed of particles and boilies. Q: What’s the best way of taking all your kit abroad and do you lighten the load? When I first travelled to the public venues, I was concerned about security as I was travelling alone, and anyone being able to see my tackle in the car, while I could potentially be a mile or more away down a tow path looking for fish or like areas spots to fish. With this in mind I used to take the bare minimum, so it would be hidden as best as possible under the car parcel shelf out of view. But I have come realise over time that this restricted me to only being able to fish the canals and rivers where you could gain access from your car, and fish just like the continental anglers do from the boot, or bivvying up next to your car. Now I take my barrow with me, and make sure I can get everything on the barrow even if it takes two trips back to the car. So now I can go anywhere, the footpaths are flat and you can barrow for miles, and to some out of the way quiet spots which you’ll find a lot of the local anglers do not visit. A lot of the locals fish from their vans, with their bedchair in the back, with either the back or side door open, and do the nights only. So this can definitely be an edge, fishing less pressured areas of the canal systems. Ultimately take what you think you need. Q: Do I need to prepare my bait before I travel? Yes, always, I will prepare a bucket of bait, particles and boilies, so the boilies will be washed out in the particle juices, oils and so on. This will typically be used for one or two spots I bait up, for potentially moving onto later in the trip and also for baiting up my initial swim. On occasions I’ve air dried a batch of my freezer baits, then later in the trip once I’ve used up my freezer baits, I start soaking batches of the air dried baits each day in canal water, ready for that day or the following day. This then also gives the baits a washed out look, as if they have been in the canal for several hours. I use this tactic on the more pressured canals like the Kempisch, and this has produced some nice fish over the years for me. My Belgium PB of 58lbs fell using this tactic. I also take a bag or two of ready-made boilies, there is very little difference between Freezer and shelf-life boilies nowadays. Shelfies tend to be slightly firmer, but that can be a good thing with the crays, also you have peace of mind that you will always have some bait throughout your trip. 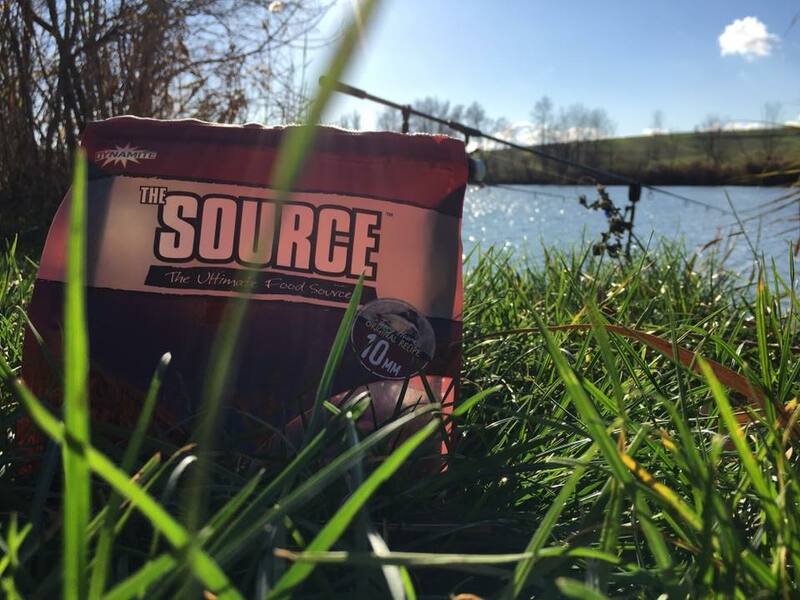 I have done up to 10 day trips, so if you plan a long one, I’d say it’s best to take both freezer and shelf-life baits. I use micro barbed hooks, I’ve not come across a barbless only public water as yet abroad. Possibly for extreme snaggy areas, it could be worthwhile using big barbless hooks, so fish don’t get tethered up, if you line was to part on snag.